Thanks to Ronnie for coming down for a good fall fishing trip. 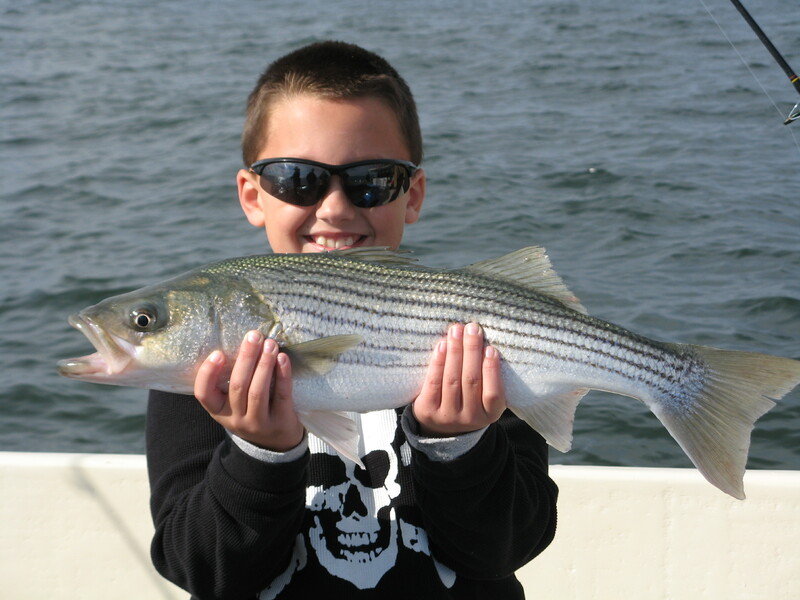 Always great to have a young angler on board! Appreciate your business Ronnie and look forward to your next trip on the Bay! Had another great day with Tom and crew! Chumming for rockfish is really good and picking up! We caught our limit early and then caught some blues. Wind picked up so we came in and leaned on the pickup and talked about how much fun everybody had! A few Bud Lights involved! Thank you Tom for bringing a good group down. Appreciate your business! 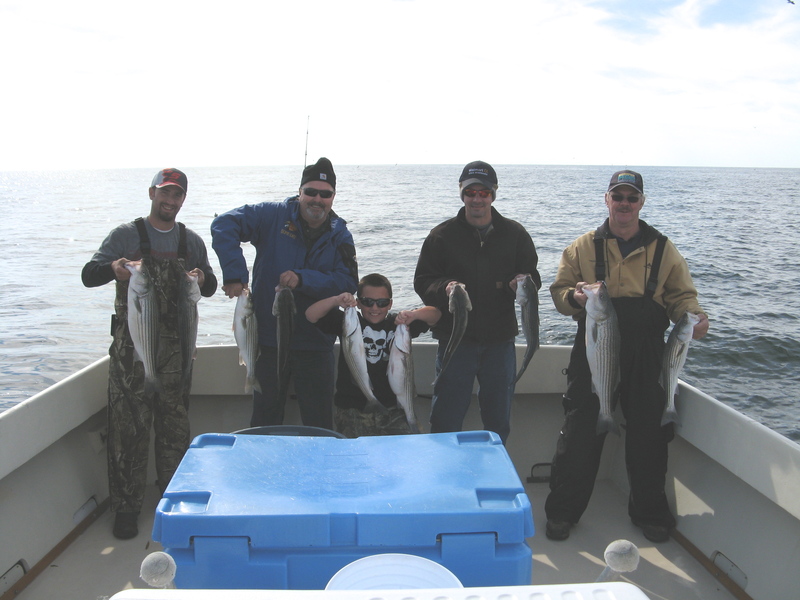 Always great to have Rick, Dan, and his gang back aboard fishing with us. 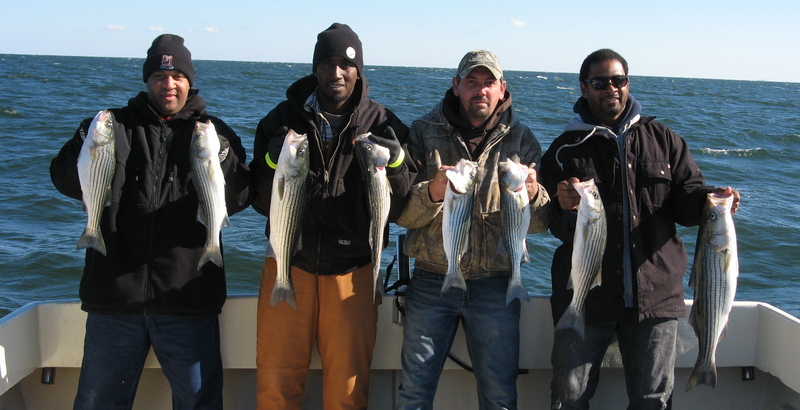 The strong wind and waves kept us close to home where we live-lined and caught our limit of rockfish. 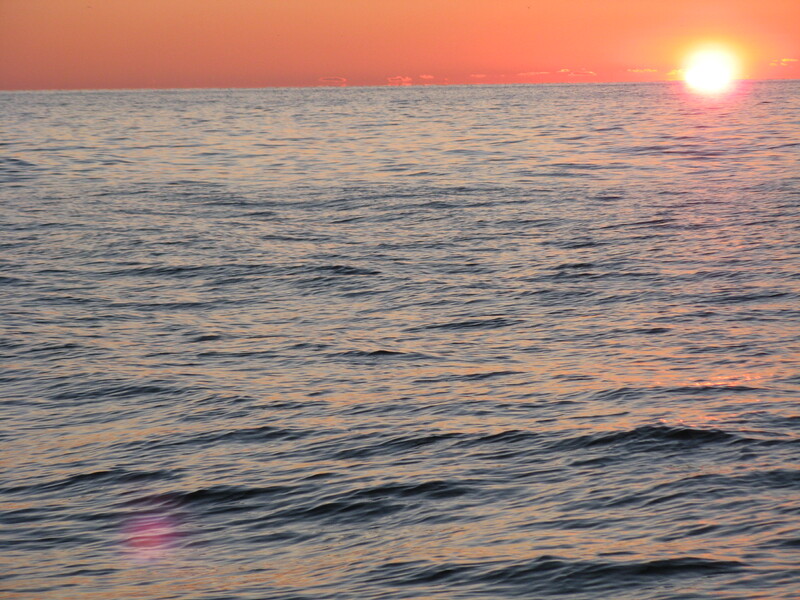 It took some very good angling on their parts to get the stripers to the surface. Thanks very much fellows…appreciate your business and look forward to next year! Good rock fishing continues!!! 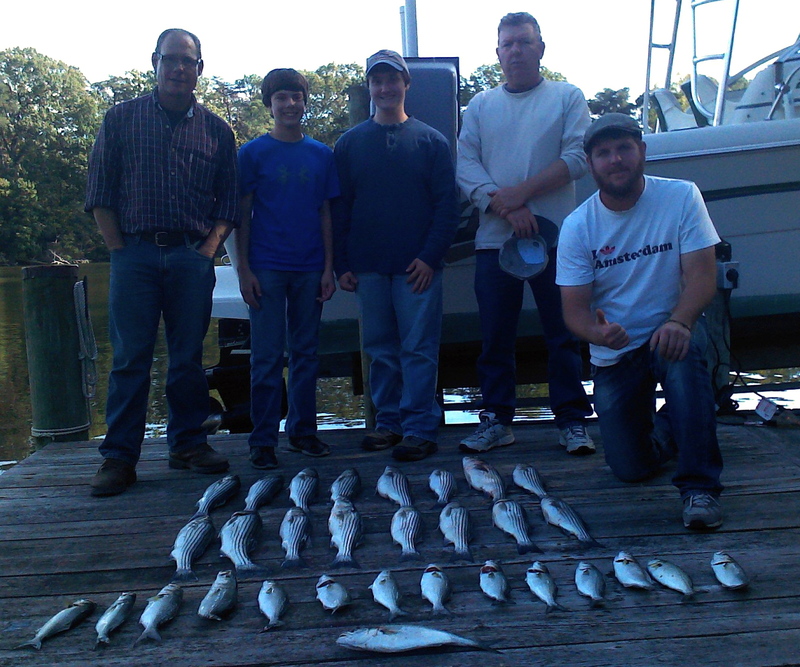 We had a great fishing trip with our neighbor Steve and his family and co-workers. Got our limit of rock and plenty of blues! Fall fishing at its best!! Appreciate your business Steve and look forward to seeing you all soon!